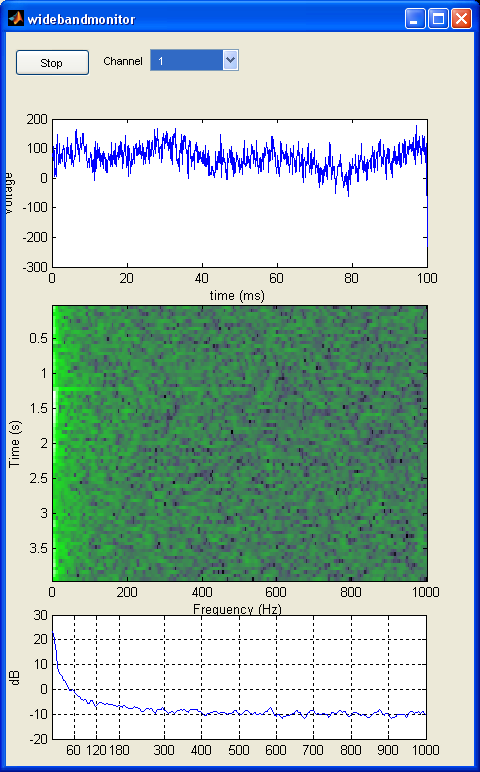 Plexon has a Matlab API that can be used to stream wideband, LFP and spike data for real-time processing. It’s available in the Downloads section of the Plexon website under the name “Matlab client development kit”. They include several sample applications with the API, including a real-time LFP monitor. However, it’s missing a few features to make it a useful noise diagnostic tool, IMHO. 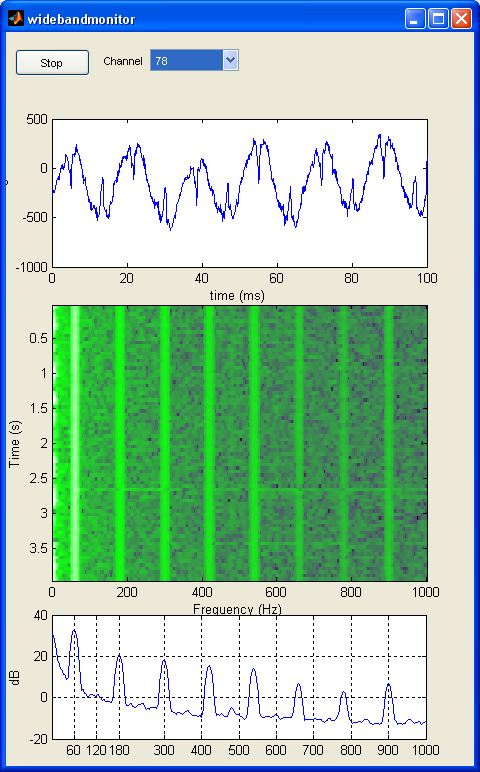 I programmed a very simple wideband monitor which shows, for a given channel, a snippet of the raw signal, a spectrogram, and the mean power spectrum over a larger window. Although it’s very simple and it probably won’t work as is for other setups, it’s a good place to start. Don’t try this at home, kids. We’ve been having some hardware issues, so I can’t really show you what a nice signal looks like, unfortunately. Here’s the source. You will need the Plexon API on your Matlab path, as well as the Plexon server started.